Hello! It’s Steelrattus guest posting again, this time on a 10 day (10 DAY!) stint, while Stegzy is away. I should preface this stint with a warning that some of these posts might be a little brief, as trying to juggle work, kids, and daily album reviews might be pushing it. But I’ll try my best, and it will depend on the album. I can also reveal that I only somewhat know two of the albums out of the ten, so will be coming to most of these fresh. So, Everything Picture by Ultrasound. 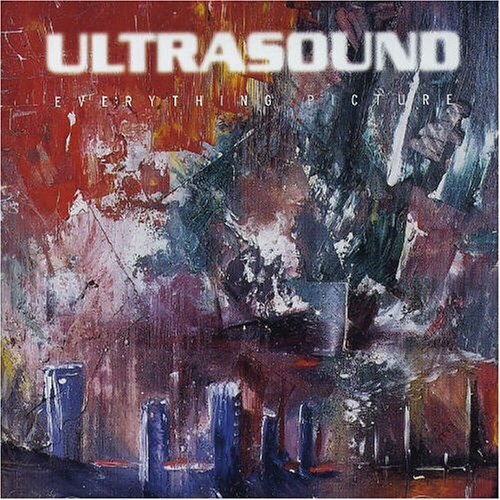 For those who don’t know (like me), Ultrasound were a band active for three years at the end of the 1990s, and again from 2010 to present day. The band first released a couple of singles, during their 1990s phase, which were received favourably by the music press. Everything Picture is their first album, but it wasn’t received so favourably, albeit it got to to No. 23 in the UK charts. An acrimonious break up followed, caused by severe tensions in the band. The band reunited in 2010 for a charity concert, and following on from that decided to make a new album, Play for Today released in 2012. It’s often a bit odd listening to music cold, that is for a purpose other than just the pure listening experience. I’m not sure if it helps you be more objective, or means you have less chance of connecting, or a bit of both. I suspect this will become a theme over the next few days! Everything Picture is an unusual album, in that it has 10 fairly standard length tracks, followed by a final track that’s almost 40 minutes in length (although said track does end after about 20 minutes). I heard similarities to various artists throughout, including The Cure, The Beatles, and Pink Floyd. I would describe the overall genre as rock, but there are some odd flourishes throughout the album that mean it’s not just a straight rock album. Indy Rock is probably a better description. It was an interesting lesson, but I didn’t connect with it.